Facial rejuvenation is the term used for plastic surgery or cosmetic surgery procedures that make a person look younger. From simple things to bigger things, facial rejuvenation has many choices and options. From a facelift to an eye lift or to a facial peel, learning what options are available to you and understanding the difference is important and actually easy! Patients located in Delaware, Pennsylvania or other states will find this educational writing very interesting. From a face lift, eye tuck, to other easier procedures, important concepts will be reviewed. Please see the facelift before and after photos on my page to see the results possible. By building on your knowledge of facial rejuvenation, a plastic surgery patient can get the best treatment for themselves and maximize satisfaction. When we age and get older, changes occur that might make us unhappy with our appearance. Some people are actually “afraid to look in the mirror.” I advise people to learn their options, learn the facts and be happy with their facial rejuvenation. Don’t be afraid “to look in the mirror” anymore!! Facial rejuvenation can be done with three basic levels of treatment. The first (Level 1) is the easiest and the third level (Level 3) is the biggest. Level 3 is plastic surgery operations- such as a facelift, mini facelift, eye lift or blepharoplasty procedure. Also included are forehead lifts, brow lifts, and neck lift surgery. Not everyone wants “surgery” to achieve facial rejuvenation, so they might want to stay with Levels 1 or Level 2 treatments. But everyone needs to learn the differences between the levels. A platic surgery patient doesn’t want to get an easy procedure in level 1 and find it didn’t do what they wanted. We don’t want to be disappointed that it didn’t rejuvenate as much as would have been done in a level higher level such as with surgery. Level 1 facial rejuvenation treatments are the easiest and the lowest level. Level 1 treatments are facials, micro dermabrasion, laser treatments, and peels. These treatments or cosmetic procedures are done to rejuvenate the face by helping with fine wrinkles, sun spots, age spots, veins, and the texture and the tone of the skin. These treatments are often very easy and pleasant to have done. They are often “spa like” with relaxation and a pampering atmosphere. Almost everyone will benefit from level 1 treatments. Risks are extremely low. However, they do not get rid of bags, jowls, and excess skin. If you have this, you need stronger facial rejuvenation and probably surgery. Level 2 facial rejuvenation treatments are Botox, Dysport, and Facial Fillers. These treatments are still considered non-invasive, but they do require a needle for injection of the product. Major improvement of forehead, crows’ feet, and nasolabial folds can be achieved with these treatments. Botox and Dysport work on the forehead, crows’ feet, and glabellar (space above nose and between eyebrows) area. The results can be spectacular for many. Benefits last about 3 months, so it does have to be repeated. Also in Level 2 treatments are Facial Fillers. These are products like Juvederm, Restylane, Radiesse, and Sculptra. They work for longer periods of time and are used on the folds around the mouth and in the lips. They are also extremely successful. Once again, like Level 1 treatments, these treatments aren’t the best for jowls, skin excess, or eyelid bags. Treatment Level 3 is best for this and is discussed next. Level 3 facial rejuvenation treatments are surgical procedures to “nip and tuck.” This includes facelift surgery, mini facelift surgery, eye lid lift or blepharoplasty cosmetic surgery. Other operations are eye tuck, neck lift surgery, forehead surgery, or endoscopic brow lift operations. These operations tend to make major rejuvenation for a person making them often much younger in appearance. Facelift surgery for example can take “decades” off a person’s appearance and be very long lasting. This can not be achieved with Level 1 or Level 2 treatments. These operations like mini facelift surgery or neck lift surgery can be performed on an outpatient basis with surprising little pain! Recovery is necessary for bruising and swelling to go away. 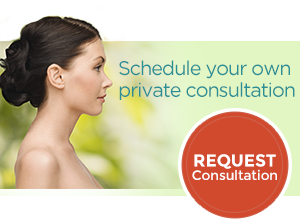 During consultations I will discuss the concepts and find out which Level treatment is best for you. 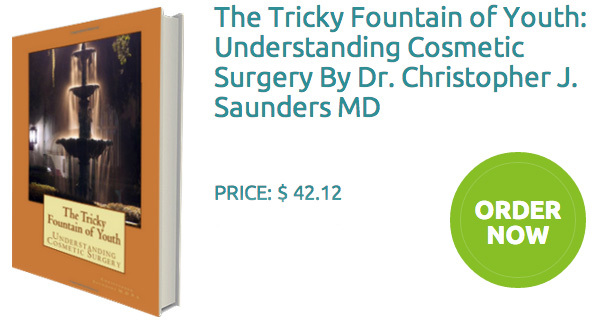 Also, if surgery is needed, I will review facelift surgery in detail including cost, recovery, and risks. 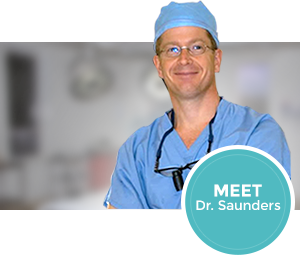 From neck lift surgery to an eye lift operation, I will help you learn the facts and be better informed. Don’t be “afraid to look in the mirror” anymore!! Please call the office for a complimentary consultation. Please also check out the facelift before and after pictures.